Or wear these battle-ly clothes, battle-ly clothes …..Battlesaurs! Battlesaurs! Battlesaurs! Of the short animated features I watched over Easter weekend, Toy Story That Time Forgot quickly became my favorite. Briefly, Bonnie takes her Toy Story toys over to her cousin’s house for a playdate. While there, however, Buzz, Woody, Trixie, Rex, and Angel Kitty run afoul of the fearsome dinosaur warriors known as the Battlesaurs. Will Trixie be able to save her friends or will they be diced up in the Arena of Woe? Foreign language films are always iffy propositions. 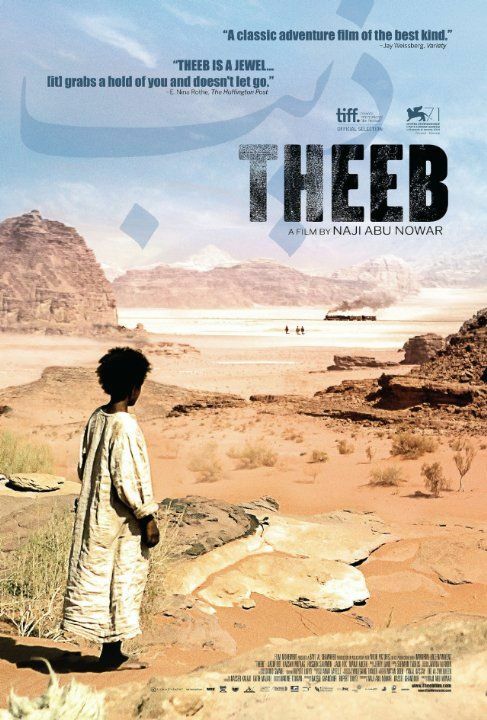 Fiction frequently doesn’t translate as well as non-fiction, but Theeb, an Arabic language film with English subtitles set in Arabia in 1916, is the happy exception to the rule. Briefly, Theeb is a headstrong Bedouin kid whose father has died and who looks up to and tags along after his older brother, Hussain. One night, a Bedouin named Marji and an English soldier come into camp. Hussain is asked to guide them to the Roman Well. Theeb runs away to follow them and once he is discovered, it is too late to send him home. It should be a simple journey, but things go south rapidly and they soon wind up fighting for their lives. Much like The Fall, the story is told from a child’s point of view so as an adult audience member, part of the tension of the story is figuring out what the heck is going on. I was also struck in watching this movie how much the film reminded me of my own upbringing in the Arnorian countryside–the beautiful, but difficult terrain, the harsh climate, the social etiquette, the emphasis on showing hospitality to and assisting strangers, and the outsiders with their own motives who have their own plans for the land and neither understand nor care about the people who live there. Theeb is available for rental or purchase on Amazon Instant Video. Check it out, you’ll be glad you did.